Lighthouse decor has become very popular. Some people are fortunate to live by the sea and will decorate their entire house with lighthouses. Others of us live far from the sea, but want to bring those memories of a coastal vacation home and we might decorate a room or two with some lighthouse decor or perhaps put some lighthouse decorations in our gardens. 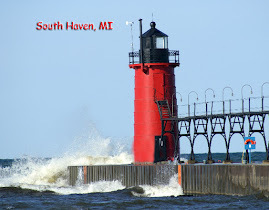 I have several lenses written with ideas for lighthouse decor. Lighthouse Kitchen Decor is one of my most popular articles. It has a wide variety of items to add to you lighthouse kitchen. You will find cheerful teapots, lighthouse kitchen towels, lighthouse clocks, salt and pepper shakers, and even a lighthouse sink stop. Stop by and look at the ideas for decorating your kitchen. With the popularity of Lighthouse Kitchen Decor, I decided to do a similar lens for baths. Lighthouse Bathroom is full of great ideas to decorate your bath with lighthouses. You will find some wonderful shower curtains, shower hooks, towels, photos for the wall and many more bath accessories. I hope you will visit soon. For ideas for lighthouses for your garden go to Lighthouse for your Garden where you will find wonderful items like a solar powered lighthouse replica and lighthouse welcome mats and signs. The cover photo shows the lighthouse replica in my garden. 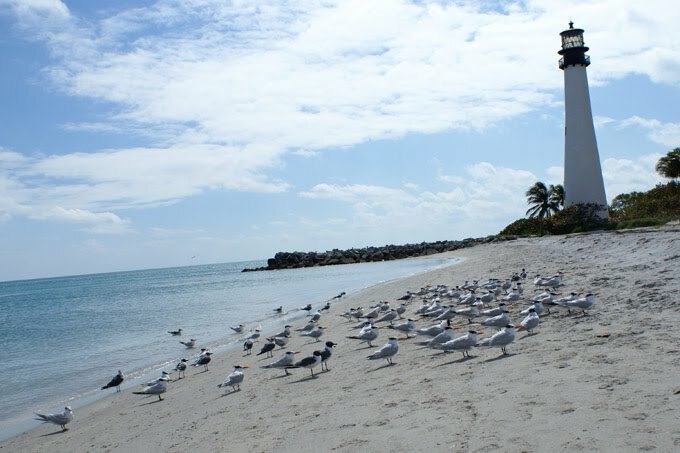 Whatever you choose...enjoy your lighthouse decor and memories of a day at the sea! 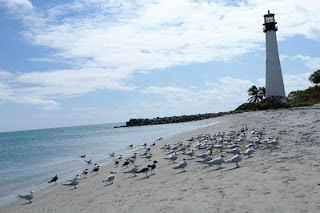 Photo is Cape Florida lighthouse on Key Biscayne, Florida.